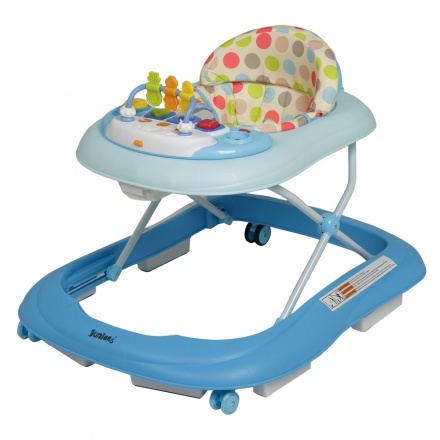 Juniors Impulse Baby Walker | Blue | It features single direction rear wheels to control the movement. Save BHD 0 (0%) Earn 82 Shukrans What is Shukran? Shukran is the Landmark Group’s award-winning loyalty programme in the Middle East, which allows you to earn Shukrans when you shop any of our brands. 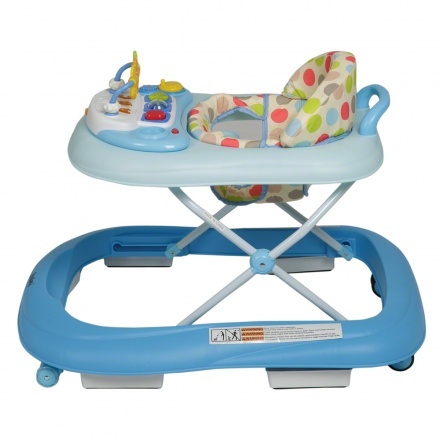 Ideal for kids that are learning to walk, this baby walker is just what you need for your little one. Featuring a polka dot print, this multi-colour walker is sure to attract your kid. The smooth wheels and foldable design make it a must-have. 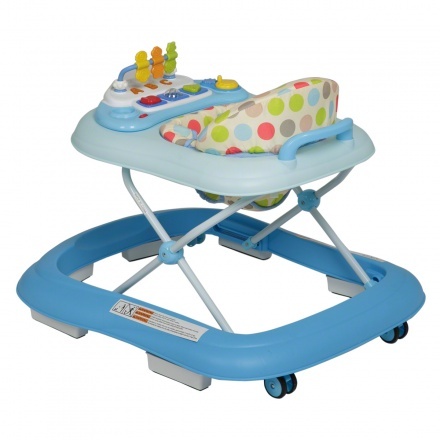 Feature 1 : It features single direction rear wheels to control the movement. 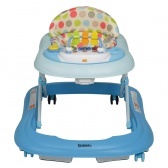 Feature 3 : It features multi-position height adjustment and can carry weight up to 15 kgs. Feature 2 : It has grip strips to reduce movement on uneven surfaces.